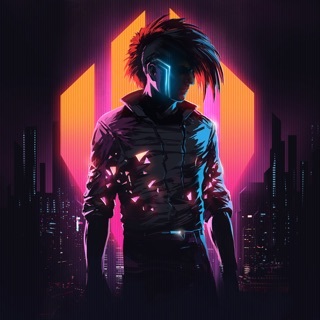 The most successful moniker of Detroit-based musician and sound designer Klayton, Celldweller is an ambitious, genre-traversing project which fuses various styles of rock and electronic music as well as orchestral elements. Rooted in the industrial metal scene, Klayton incorporated styles such as drum'n'bass and trance into the sound of early Celldweller releases such as its 2003 debut. He later began fusing metal with dubstep and EDM on subsequent albums like 2012's Wish Upon a Blackstar, while 2017's Offworld was influenced by shoegaze. Often exploring themes and concepts inspired by sci-fi and cyberpunk, his music is highly cinematic, and has been featured in countless films and television programs as well as video games. He's garnered a passionate cult following for his ambitious albums as well as his YouTube channel, where he regularly posts videos documenting his recording process. Aside from Celldweller, Klayton is also active with other projects such as the synthwave alias Scandroid and the modular synth explorations of FreqGen. Originally from New York City, Klayton participated in several metal and industrial bands beginning in the late 1980s. Following the dissolution of his previous bands Circle of Dust, Angeldust, and Argyle Park, Klayton began recording solo material as Celldweller in 1999. Celldweller's self-titled debut album, an ambitious fusion of trance, drum'n'bass, metal, and alternative rock, appeared in 2003 on Position Music/Esion Media after four years of production and delays. The album was well received by various online music communities, and eventually every song from the album was licensed to television shows, motion pictures, or video games. The Beta Cessions, a double CD of remixes, demo versions, and instrumentals, followed in 2004. In 2006, Klayton started the independent label FiXT Music, which would release all of his subsequent recordings, as well as releases by other artists. While working on Celldweller's second proper full-length, Wish Upon a Blackstar, Klayton began Take It and Break It, a competition in which fans could remix Celldweller songs. The competition spawned several volumes of remix collections, which were released on FiXT. Soundtrack for the Voices in My Head, Vol. 1, an instrumental album intended for further media licensing, was released in 2008. Klayton began digitally releasing tracks from Wish Upon a Blackstar in 2009 in the form of two-song "chapters." He also began recording Soundtrack for the Voices in My Head, Vol. 2, releasing the first chapter in 2010. The remix album The Complete Cellout, Vol. 1 appeared in 2011. Both Wish Upon a Blackstar and Soundtrack for the Voices in My Head, Vol. 2 finally saw full release in 2012, as well as the concert recording Live Upon a Blackstar, also released as a Blu-ray/DVD. By this time, Celldweller's sound had evolved to include elements of dubstep, and was referred to as "metalstep."